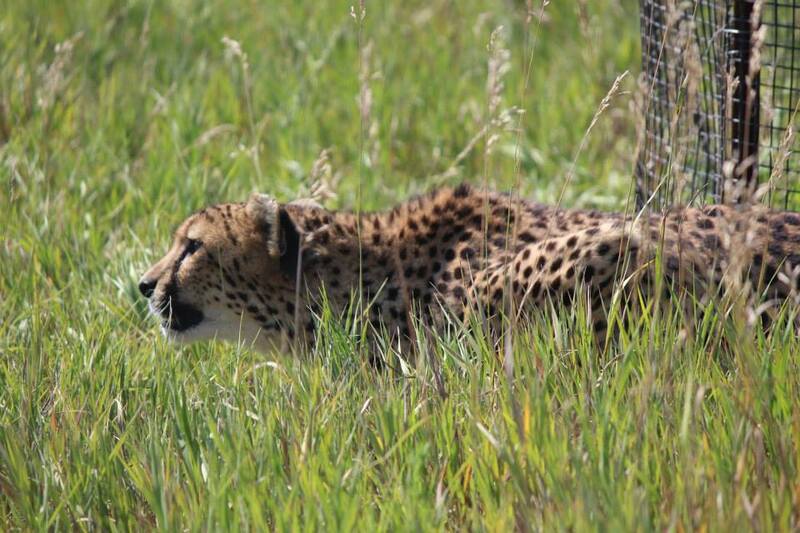 Wildlife Safari Park is home to more than meets the eye. From your vehicle and even by foot, you are welcomed by the presence of native North American animals and other wildlife. But behind the scenes, more is at work to prevent the extinction of some of the world's endangered species. Animal care staff are working every day to ensure the future of animals such as the cheetah at the Cheetah Breeding Facility and soon, the Amur tiger at the Tiger Breeding Center, currently under construction. Lee G. Simmons Conservation Park and Wildlife Safari along with Omaha's Henry Doorly Zoo and Aquarium, Pheasents Forever, Inc,. and Quail Forever and Monarch Joint Venture have come together to demonstrate to families the wonders of Monarch Migration. Each spring Monarch butterflies make an extraordinary journey from their overwintering sites in the mountains of central Mexico north into the United States and Canada. In the fall they migrate back to Mexico to stay the winter and begin again. It takes approximately four generations of Monarchs to complete their journey north and back. The Wildlife Safari Park has a trail system as part of their Wolf Woods in which a pseudo-migration path will be set-up for families to walk and learn about the monarch migration and about monarch butterflies in general. The walk will start at 8:00 am in lower Wolf Woods Parking Lot with Wildlife Safari Park Entrance opening at 7:30 am. Buses will be available for transporation to lower parking lot. Walk will last approximate 1 hour with educational and sponsorship booths after the walk. Pheasents Forever, Inc. and Quail Forever will hold a special Prairie Planting Demonstration after the walk at the Wildlife Safari Park Visitor's Center Walking Prairie at approximate 10:00 am. Guests are encouraged to reload the buses for a return trip to the upper parking lot where they can take park in the demonstration and then take their cars into the park and see the rest of the exhibits. **Pre-event registration is required. Children 2 years and under are free.